Making stove-top popcorn has always been a favourite snack of mine; it's quick, healthy, and easy and is customizable. 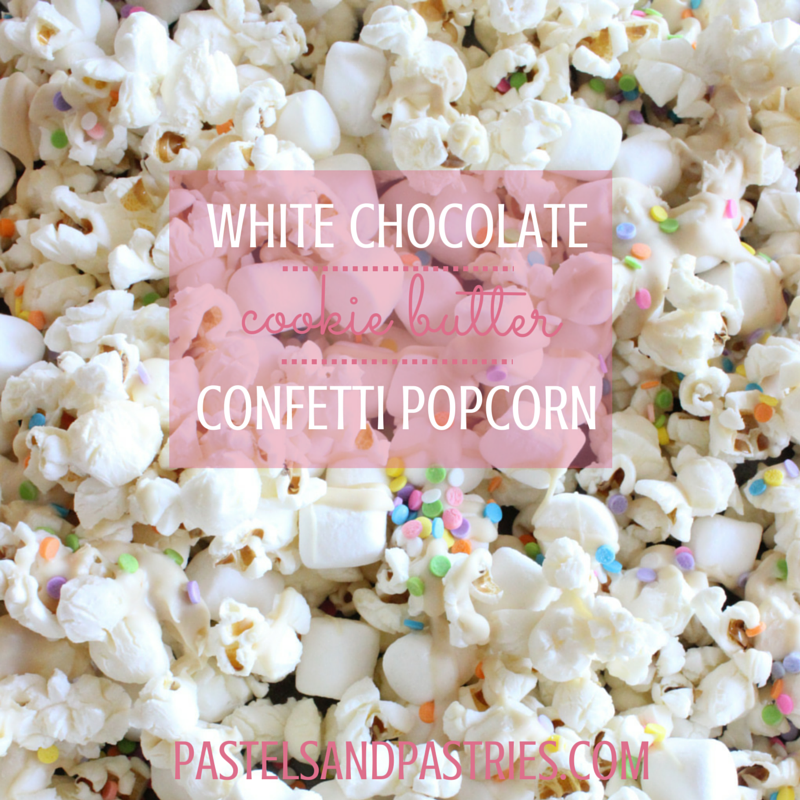 When I saw Glitter Guide's White Chocolate Confetti Popcorn a while back ago, I bookmarked the recipe in my head and was waiting for the perfect occasion to whip up a batch of this heavenly creation... only I had a few adaptions of my own. I added in marshmallows, and mixed the melted chocolate with (my latest obsession) Trader Joe's Cookie Butter. Seriously genius, and seriously a sweet element to our Fancy Pufs x Pastels & Pastries shoot. 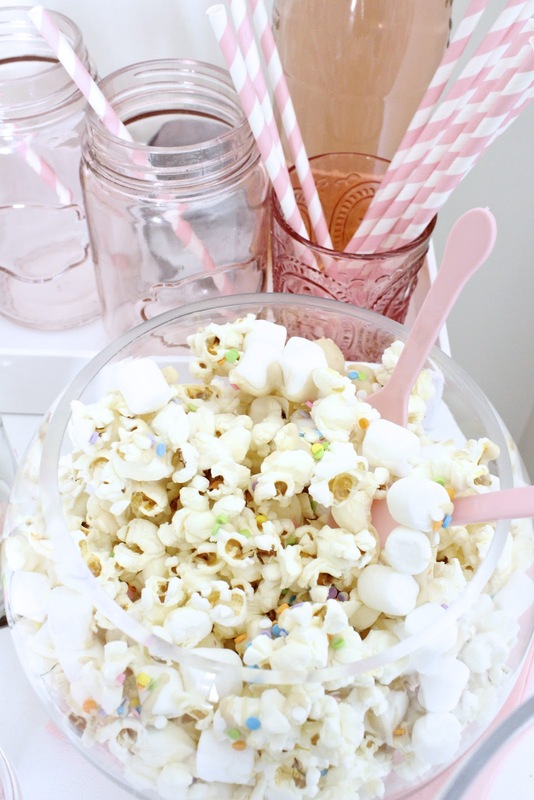 Perfect for a party or a girly-girl movie night if you ask me! Pour enough oil to lightly cover the bottom of a large pot and heat on medium-high heat. After a few minutes test oil temperature by dropping 1 kernel into pot and see if poping beings (if not wait another minute). Add kernels and cover pot with lid. When the popping begins, hold down lid while lifting and shaking the pot from side to side to ensure kernels don't burn. Shake every 10 seconds or so. When popping stops, remove from heat and pour kernels out on waxed paper lined baking sheet. Add white chocolate and cookie butter to a small bowl and melt in microwave (stop micro every 15 seconds to stir and make sure doesn't burn). Spread chocolate/butter mixture evenly over popcorn and top with marshmallows and sprinkles. Let popcorn sit out and chocolate mixture dry for at least an hour before bagging or putting out. Gorgeous photos!!! This almost looks too pretty to eat!! Hope you have a wonderful weekend!